The loss of an occasional beneficial garden insect, like this lady beetle, is outweighed by the positive net impact Assassin Bugs have as effective predators. This species of generalist feeders are long-lived, often surviving more than one season, and consume a lot during their lifetimes. They prey on a broad range of insects including pests such as: leafhoppers, aphids, caterpillars, mosquitoes, and mites. 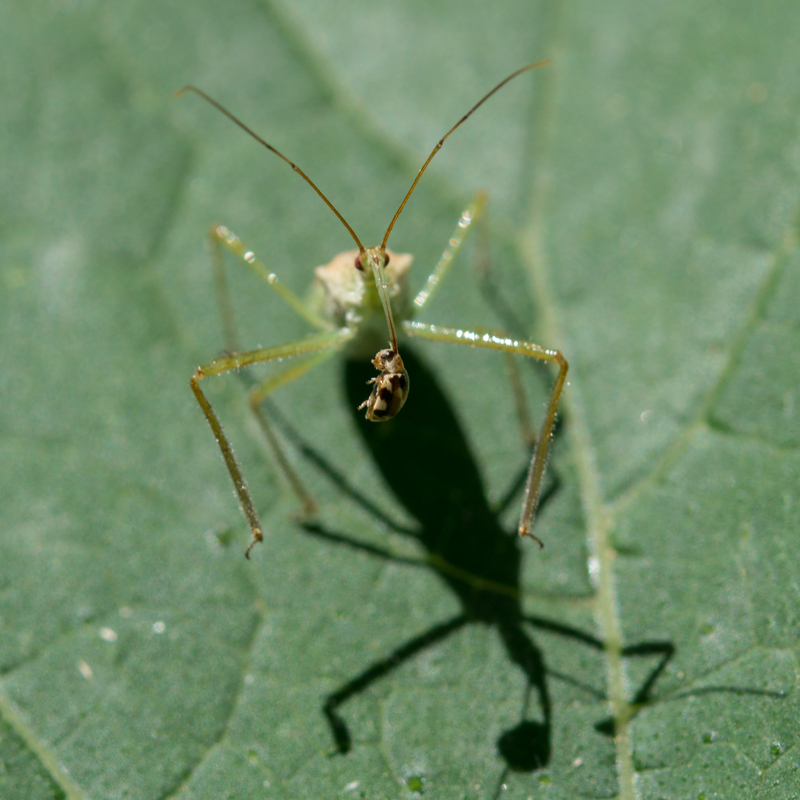 Assassin bugs are aptly named. They often wait in hiding and ambush their prey. 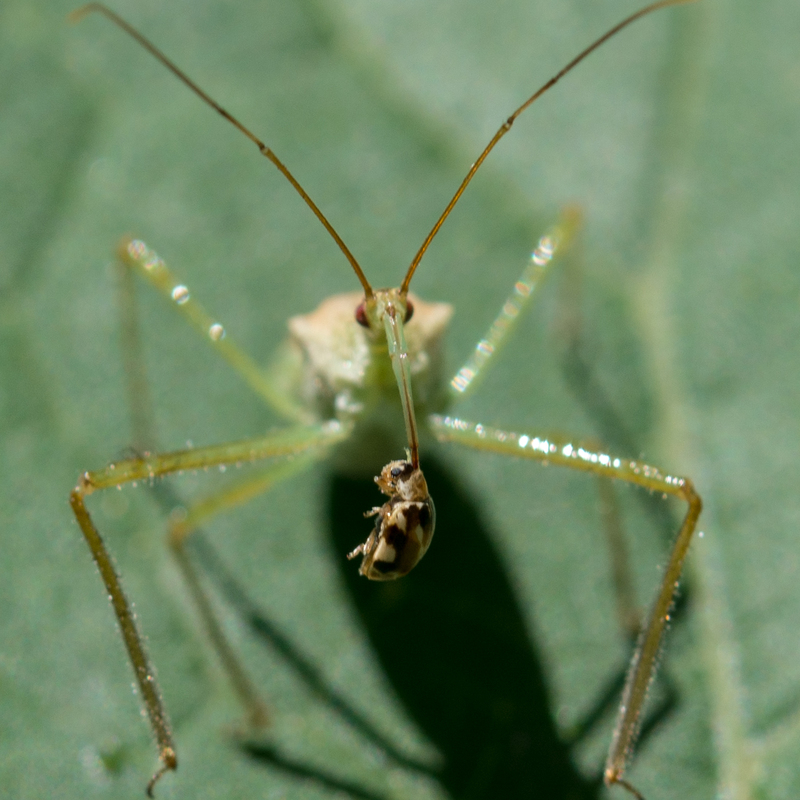 Like all true bugs- they have piercing, sucking mouthparts(collectively called a beak). This beak is used to puncture and pump salivary secretions into the prey’s body. The secretions quickly immobilize prey and dissolve internal tissues. 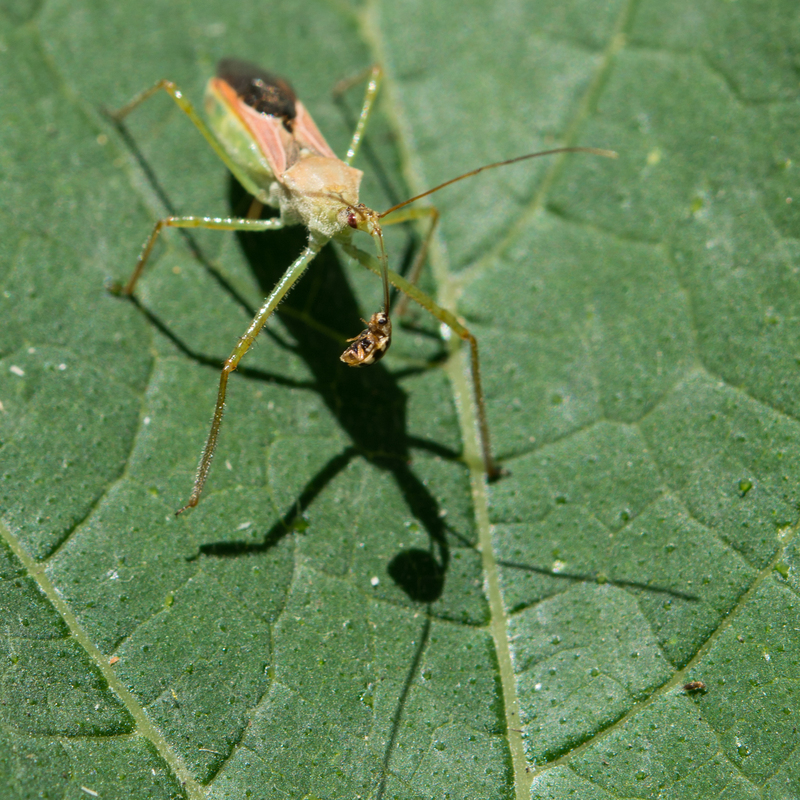 This process enables the assassin bug to use its beak to extract body fluids from their prey for food. Is it simply one of Nature’s processes for controlling pests that can reduce or prevent the need for really creepy man-made chemical pesticides? Thanks for the welcome back, Ken. It is great to be rebuilding my connections again! We had a family reunion at our home in honor of our grand daughter’s first birthday (and my not-first birthday). All went wonderfully! Can’t imagine a more perfect visit with family and close friends.